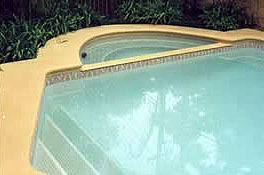 Most fibreglass and many other pool types have a Hydrostatic Valve located at the deepest part of the pool. Often its got a cover, like an upside down dinner plate. Its job is to relieve water pressure, when the pool is empty. 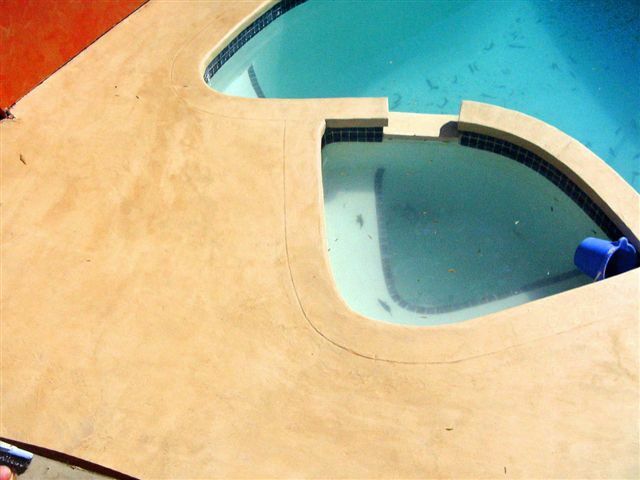 (To stop an empty pool particularly a fibreglass one popping out of the ground). Remove the cover when the water level allows. The valve should then be released as soon as you are able to access it. (Use a screwdriver to wedge it open) It may be that dirty ground water enters the pool and this will usually stop after a few hours or over night. Plastic tube and fitting screwed into valve seating unit. (Valve removed first). Two bricks holding valve closed!! If the flow does not stop, then you need to deal with it as you will not be able to paint the bottom of the pool. One way is to obtain a 50mm Iplex internal ID plastic tube about a metre long and a 50 mm Iplex Press Adap Valve which is then pushed onto the 1 metre tube. Unscrew the value unit. Then screw in this tube and Adap into the hydrostatic valve seating. 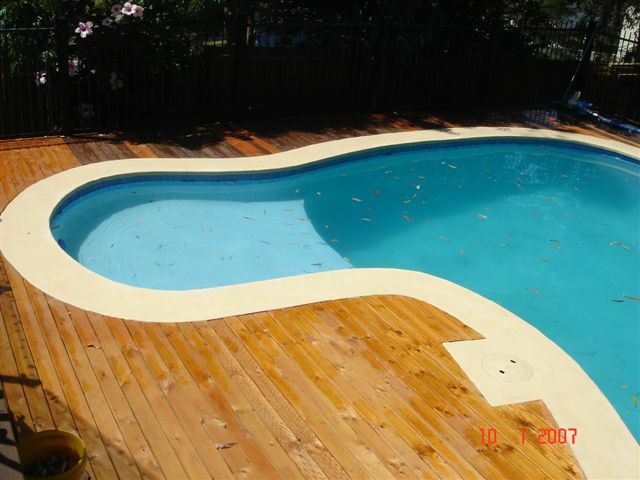 This will allow for the water pressure to be equalised with out over flowing into the pool while you paint it. When refilling the pool it may be useful to keep the hydrostatic valve open for a while to allow water from the now filling pool to (re)fill the cavity under the pool. Another way to allow you to paint is to put several bricks on the valve to hold it closed after virtually all the water has passed from the ground under the pool, into the pool. However this is not an ideal answer. “Dinner plate” cover over valve unit.